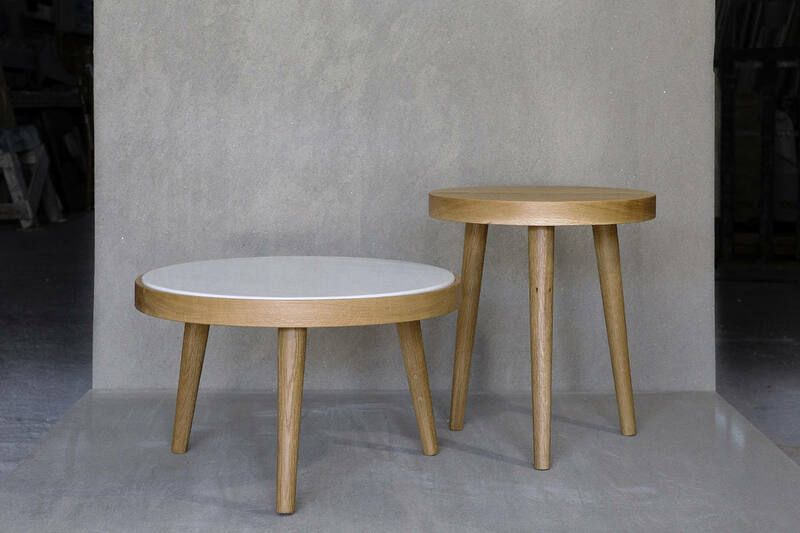 Set of two oak coffee tables handcrafted by Greek technicians. One of them is made entirely out of wood and the other has a marble surface. The marble surface can be customized. There are many different marble types available. You may contact us for more information.